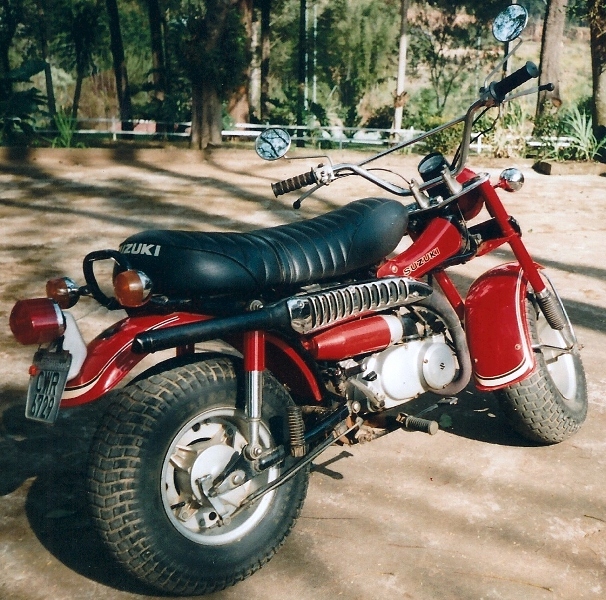 I´m busy with the restauration of my suzuki 90cc from Japan. Is there some one, who can help me with these things? Right now i´m bussy with the 12volts of my RV90 J.
I also placed a 12 volt kit into my RV125. Here are some pictures of the whole restauration. On lebocoin is someone who sel the bracket, but he doesn´t answer my mail. Hi Rico , very nice work !!! What prices do you ask for the new/used ones?